The perfect venue for weddings, family holidays and celebrations. Hafton Castle is a magnificent Scottish building with views across Holy Loch, set in delightful gardens. 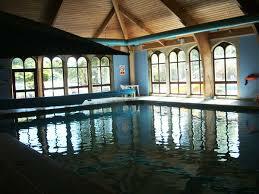 The scottish castle also boasts a large indoor heated swimming pool. The Castle is a superb house with its wonderful indoor pool, billiard room, library, dining room, superb reception hall, small drawing room, opening onto large drawing room with a bar area, spacious conservatory and plenty of outdoor space with terrace and gardens, in fact plenty of space for the large number of people it sleeps. The splendid reception hall has plenty of seats, a wood-burner and a grand piano. The Castle was built by James Hunter, and its architect was David Hamilton who also designed Dunoon Castle. The bedrooms are comfortable and all have en-suite showers. The building has some magnificent features, beautiful ceilings, carved doors and a superb staircase. Hafton Castle is available for exclusive hire. It is the perfect venue for weddings, reunions, corporate events, birthday parties, all sorts of gatherings. Ideal for art or music holidays, tuition can be arranged for groups Arrangements can be made with local caterers, or functions can be self catered if preferred. Hafton Castle is ideally situated on the Cowal Peninsula, the surrounding area is incredibly beautiful and the Castle is very accessible as it can be reached from Glasgow Airport in only 45 minutes by road. Most guests will arrive via the car ferry operated by Western Ferries from Gourock which crosses the Firth of Clyde, a very romantic and atmospheric start to their stay at Hafton Castle.